Just as Parisian private investigator Aimee Leduc is about to leave for New York City to pursue a lead on a man who might be her brother, her fellow detective, Rene Friant, is wounded by a near-fatal gunshot. Aimee is distraught over Rene's condition and horrified to be under suspicion for the attack; police have pegged her as the guilty party. At the same time, a large, mysterious sum appears in Leduc Detective's bank account, and tax authorities descend upon Aimee. It seems someone is impersonating her someone who wants revenge. But for what? 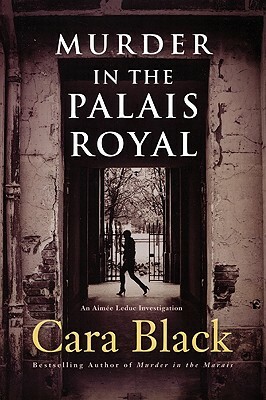 Cara Black is the author of sixteen books in the"New York Times"bestselling Aimee Leduc series. She lives in San Francisco with her husband and visits Paris frequently. "From the Trade Paperback edition.""